This was the first launch of another busy year for German superyacht builder Lürssen, which has launched as of press time at least one much larger yacht (The 144-meter or so Topaz should be on our list next year). Moran Yacht & Ship managed the project, and Andrew Winch Designs gave this alluring yacht her interesting lines and interior design. 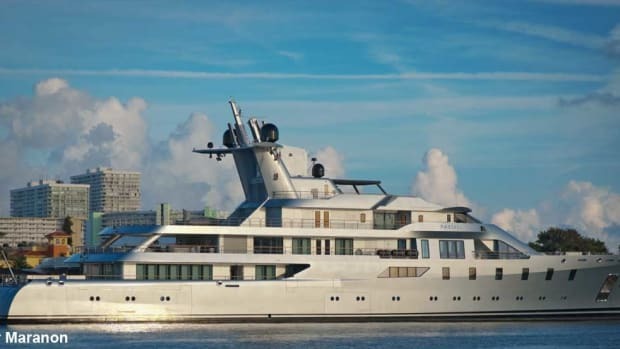 This was the first launch of another busy year for German superyacht builder Lürssen, which has launched as of press time at least two much larger yachts. 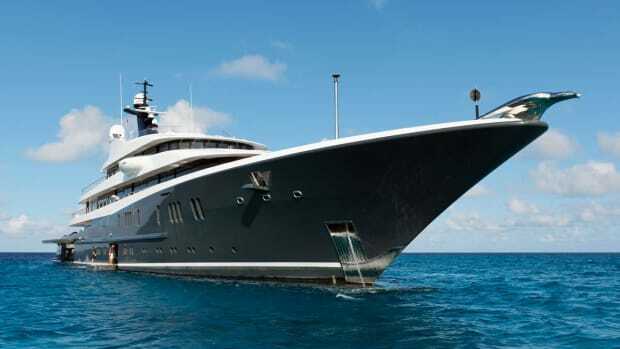 (The 144-meter or so “Topaz” and the even larger project Azzam will take their place on our list next year.) Moran Yacht & Ship managed the project and Andrew Winch Designs gave this alluring yacht her interesting lines and interior design. One of the real strengths of the styling, aside from its impeccable geometry, is that the arches help conceal the stairs leading to the various decks. Discreet balconies will provide guests stepping out of what looks to be a luminous interior with primo views. The design also made room for the spacious aft bridge deck to accommodate a helipad. The yacht, built under the project name “Rocky” in Rendsburg and launched in January, underwent sea trials in the North Sea in March 2012. The voluminous steel hull has a bulbous bow. 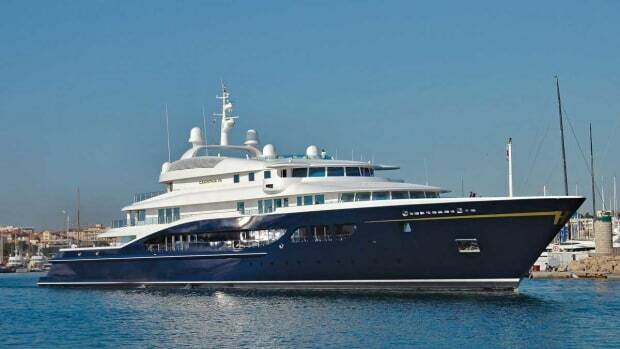 Ace was due for delivery to her owners sometime in late spring 2012 but at press time she had not yet been spotted around the Med. 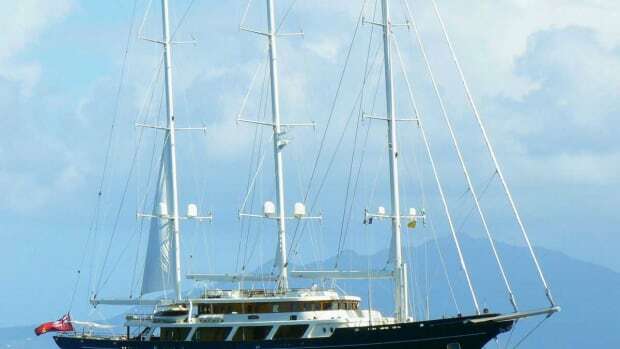 The yacht has a beam of 45 feet 3 inches and is said to include six suites. Details so far are pretty scarce. 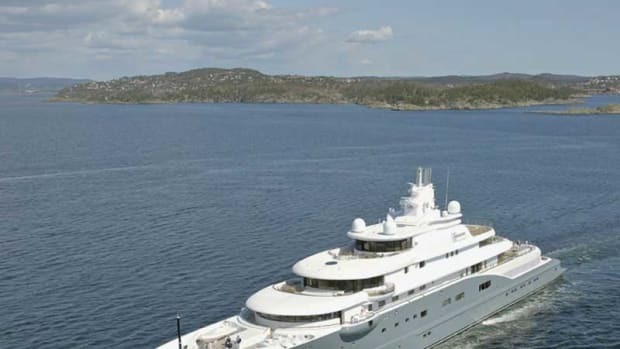 Brokers Moran Yacht & Ship frequently work with Lürssen.